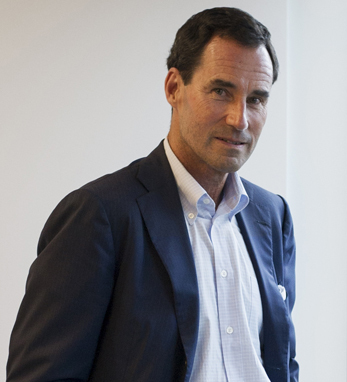 Kevin C. O’Malley is the senior vice president, publisher, and chief revenue officer of ELLE. Kevin joined ELLE in May 2011, upon its acquisition by Hearst from Lagardére SCA. Since then, the brand has experienced record-breaking ad revenue, both in its print magazine and online via ELLE.com. Kevin has also overseen the launch of several brand extensions and partnerships, including ELLE Weekly, ELLE Glassware and ELLE Dating. Prior to his current position, Kevin was associate publisher at Rolling Stone, vice president/publisher of Wenner Media’s Men’s Journal, president of Emap Metro USA’s Sports Division, and vice president and later chief revenue officer for Esquire magazine. During his Tenure at at Esquire, the magazine was named “Publishing Innovator of the Year” by Publishing Executive Magazine in 2009, and in 2005, Kevin was named “Sales Executive of the Year” by Media Industry Newsletter. He resides in Rye, New York with his wife and four sons.